As covered here, yesterday a unanimous Supreme Court ruled that the America Invents Act’s (AIA’s) language barring patent protection for inventions that were “in public use, on sale, or otherwise available to the public before the effective filing date of the claimed invention” under 35 U.S.C. § 102(a)(1) extends to private sales to third parties. The decision upholds pre-AIA Federal Circuit precedent establishing that a “secret sale” could invalidate a patent. The question patent owners have been asking since 2011 was whether the AIA’s addition of the phrase “or otherwise available to the public” overruled the Federal Circuit’s judicial construction of the on-sale bar. “No,” said the High Court. As always, IPWatchdog reached out to experts across industries for their views on the decision. From “well-reasoned and correct” to “a disappointment” and “dismissive,” they had wide-ranging perspectives on the ruling’s broader implications. A Well-Reasoned Decision: They Finally Got One Right! I think the decision in Helsinn is correct and well-reasoned. It wasn’t outside the realm of possibility for the “otherwise available to the public” language to be interpreted as adding an element of “publicness” to the AIA novelty-defeating categories, but it would have been quite a stretch. (Although, to be honest, the Supreme Court has stretched patent law in a few ways lately, so maybe I was naïve in expecting this case to come out the way it did.) But the Supreme Court got it right. Congress didn’t explain it was intending to overrule the prior understanding of on-sale and that prior understanding was consistent with the purpose of the category, so it makes sense that post-AIA, “on sale” means the same thing. I am glad this case came out this way—it’s always nice to see a Supreme Court patent case that is short, clear, and doesn’t upset reasonably settled law. Professor Kristen Jakobsen Osenga teaches and writes in the areas of intellectual property, patent law, law and language, and legislation and regulation. Her scholarship focuses on the intersection between law and linguistics. Well, well, well; they can get one right! 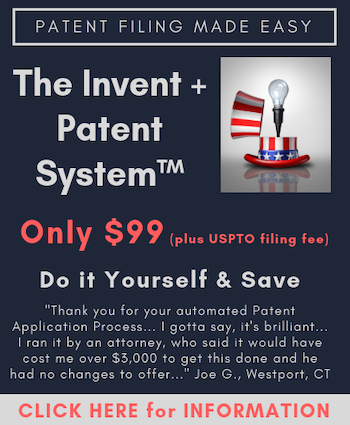 If this case had stood as decided by the District Court, it meant that an innovation could first be subject to trade secret protection and, when that had run its course via an inadvertent detail revealing disclosure, i.e, via a sale (or public use), within the year, file a patent to obtain your last 20 years of protection. Preposterous; and completely antithetical to the entire enterprise of the “patent system”. But that did not stop many an academic from saying, at length I might add, that the AIA had “changed” the law with respect to on-sale and public use vis-a-vis pre-AIA law. And it was all changed by virtue of a single “comma”. As poorly written as AIA 102 may be (especially 102b), a mere “comma” did not qualify everything preceding that comma in 102(a)(1) by application of “otherwise available”. Thank goodness grammar remains a factor in the law! Also, be thankful that neither the CAFC nor the Supreme Court fell for it. Well done! Here, here, and all that! Now, get rid of the 101 judicial exceptions…..
John White is a US patent attorney with Berenato & White, and a principal lecturer/author of the PLI patent bar review, and co-creator of the IPWatchdog Patent Practice Training course. Since John began teaching patent bar review courses in 1995, he has personally taught nearly 50% of all practicing patent attorneys and patent agents how to successfully become admitted to the Patent Bar. The decision is disappointing, since it completely erases from the statute the addition of “otherwise available to the public”, which was a key change in changing our patent system from “first to invent” to “first to file”. I am concerned about the impact that this will have on the many start-up innovators who rely on confidential licensing agreements to fully commercialize their inventions. However, this case adds even more impetus to the need for legislative reform. Kira Alvarez is a Legislative Consultant with the American Bar Association Section of Intellectual Property Law. We are disappointed at the outcome and the shallow reasoning of this opinion. When the AIA was passed, Congress sought to make prior art more predictable, searchable, and ascertainable. There is no trace in the contemporaneous record that Congress would have wanted to preserve a particularly problematic category of prior art – secret prior art – and expand it by making it global. If this had been intended, the AIA would never have gathered enough stakeholder support to pass. Hans Sauer is Deputy General Counsel and Vice-President of IP for the Biotechnology Industry Organization. The Supreme Court’s Helsinn decision was foreshadowed by Justice Kavanaugh’s comments at oral argument. There, Justice Kavanaugh observed that if Congress had intended for the AIA to alter pre-AIA precedent concerning the “on-sale” bar, Congress would have done so directly by changing the term “on sale” in the AIA, rather than by inserting a catchall “otherwise” clause into the statute. The Helsinn decision rests largely on that reasoning. My view is that the basic position of the Supreme Court, as reflected yet again in this decision, is that it, not the Congress, is primarily in charge of patent law and innovation policy. It will therefore only defer if Congress declares in absolutely explicit terms that it wants a change in the law. The Court thus seems to treat patent law as if it were largely common law, properly made, case-by-case, by judges. In my understanding, however, it is a wholly statutory regime where courts should be limited to interpreting any ambiguous term in the Patent Act. Some will say that is all they are doing here. But I see this decision, along with all the eligibility decisions, as arrogating to themselves almost unlimited power to legislate patent law from the bench. This approach also appears in the assertions in Graham and KSR that the 1952 Act represented merely a codification of their case law, presumably including their “flash of genius” standard of patentability. To me, Sec. 103 was rather its repudiation. Similarly, declaring patents a “public franchise” in Oil States reveals the same attitude. It allows the Court wide latitude since it need not be limited by property rights, even though the Act says patents shall have the attributes of personal property. That so many of its patent decisions, including Helsinn, are unanimous simply reflects that the attitude has permeated the Court. The Honorable Paul Redmond Michel was appointed to the Court of Appeals for the Federal Circuit in March of 1988 by President Ronald Reagan. On December 25, 2004, he assumed the duties of Chief Judge. In 2005 he was appointed by Chief Justice Rehnquist to serve on the Judicial Conference’s seven-judge Executive Committee. On May 31, 2010, Chief Judge Michel stepped down from the bench after serving more than 22 years on the court. Judge Michel is a member of the Patent Masters Faculty. Yet again, a unanimous Supreme Court decision puts the Justices’ spin on legislation. Justice Thomas writing for the Court indicates that the new language in the 2011 AIA was not enough of a change for the court to conclude that Congress altered the meaning of the on-sale bar. I guess that “patented, described in a printed publication, or in public use, on sale, or otherwise available to the public” doesn’t mean much to them. To me, the language in the actual statute— “otherwise available to the public”—means that what comes before it is available to the public. Bob retired from the USPTO as Commissioner for Patents at the end of 2011 after a distinguished 34-year government career. Bob serves as an expert on patent matters, and is known as a problem solver for cases with peculiar issues and problems. He is now Co-Chair of the Drinker Biddle Intellectual Property Group, and a member of the Patent Masters Faculty. To me this was not a surprising outcome. An amicus brief of more than 20 patent law professors laid out multiple reasons for why, under principles of statutory construction, the law as enacted did not overrule the on-sale bar principles of law set forth in Pfaff v. Wells. The “or otherwise available to the public clause,” when interpreted under ejusdem generis is just a catch all for other items, such as oral public disclosures as prior art, rather than as a modifier of antecedent items in the sentence of the statute. Stephen Kunin is a partner with Maier & Maier. He serves as an expert witness and consultant on patent policy, practice and procedure. Mr. Kunin served three decades at the USPTO, including 10 years as Deputy Commissioner for Patent Examination Policy. Mr. Kunin is also a member of the Patent Masters faculty. The Supreme Court’s decision maintains the status quo and puts innovators on notice that they must be diligent in applying for patent protection covering aspects of new products, because the sale of a new product could bar them from seeking patent protection even where the sale does not disclose the inventive aspects of the product to the public. Clint’s practice focuses on intellectual property with an emphasis on patent litigation, inter partes reviews, and patent enforcement strategies. With many amici filed, the Supreme Court took up the question and answered it unanimously: so-called “secret sales” are prior art that may bar patenting. While potentially narrowing the scope of what can be patented, this decision provides clarity and certainty that inventors and the patent bar have been calling for. Ron Cahill is partner and chair of the Intellectual Property Litigation practice group at Nutter. Ron has chaired an American Intellectual Property Law Association patent law committee on legal standards for obviousness and is a past chair of the Litigation Committee of the Boston Patent Law Association. Though many will view today’s decision as basically maintaining the on-sale bar status quo, two important takeaways from the Court’s decision, particularly for in-house counsel, is that there should be coordination between company teams in R&D, marketing, and legal departments as agreements are being struck to bring products to market. Secondly, timing within the overall coordination is key. Having a strategic and coordinated team effort with respect to timing of commercial agreements and filing patent applications should avoid triggering of the on-sale bar provision. Gaby L. Longsworth, Ph.D., is a director in Sterne Kessler’s Biotechnology & Chemical Practice Group. Gaby counsels biopharmaceutical clients from around the world in all areas of patent procurement, including domestic and foreign patent preparation and lifecycle management strategies. Notably, today’s decision appears to sweep more broadly than the Federal Circuit’s May 2017 decision, which had stressed that knowledge of Helsinn’s sale had been public even though the details remained secret. By contrast, the language in Justice Thomas’s unanimous decision seemingly extends to sales that were entirely confidential (i.e., unknown to anyone other than the buyer and seller). On the other hand, the Court’s decision leaves room for parties to structure transactions such that they do not constitute “sales” of any sort (e.g., as the Federal Circuit recognized in the en banc Medicines Company v. Hospira decision last year, when holding that a supplier’s provision of “manufacturing services” did not invalidate product-by-process claims). Charlie Steenburg works with clients in patent litigation, trade secret cases, and other contested matters. He has extensive experience representing clients in district court and also at the International Trade Commission. The word ‘otherwise’ makes clear that the preceding clauses describe things that are of the same quality or nature as the final clause – that is, although different categories of prior art are listed, all of them are limited to that which makes the invention ‘available to the public’…. Thus new section 102(a)(1) imposes a public-availability standard on the definition of all prior art enumerated by the bill – an understanding on which the remainder of the bill is predicated.’ H.R. Rep. No. 112-98, at 43 (2011). Russell Slifer served as Deputy Director of the United States Patent and Trademark Office during the Obama Administration. Prior to that he was Chief Patent Counsel for Micron. He has also served as a Board Member to the Intellectual Property Owners Association and as a President of the Association of Corporate Patent Counsel. He is currently a Principal with Schwegman Lundberg & Woessner. Russ is also a member of the Patent Masters faculty. Congress needs to – desperately needs to – exercise its Constitutional power to strip the non-original jurisdiction of patent appeals from the Supreme Court. Wasn’t that always possible, simply by practicing your trade secret in your factories in Asia or Europe? I rarely disagree with John White, but here, the AIA had an express purpose of opening up more of a path for Trade Secret protections. Note the sui generous treatment afforded by the submarine “right” of Prior User Rights (in a different section of the AIA). Also, as I have long provided, the fact of the matter is that past jurisprudence has incorrectly comingled two very different times of protection that arise from two different sections of the Constitution (Commerce and Patent clauses), and that operate largely at two different levels of government (Trade Secrets are largely an animal of State law, while patents are purely an animal of Federal law). And that’s not even getting to the “Means” here to achieve a desired Ends — that’s just disagreeing that the Ends themselves are a desired Ends! The Means here is the Court willingly disregarding the best single view given to the Court in the Amicus Brief of the architect of the America Invents Act. Disregarded and not even acknowledged! Russ Slifer’s note is extremely pertinent. Especially if my comment at post 1 is not followed. When Congress can’t do anything at all, the Executive and Judicial branches can do whatever they want. Touché mike – a cogent point. It was bad enough without the likes of Citizens United, but capture (and two party polarization) have created a power vacuum that the Court was only too happy to step into (and at least Iancu is trying to avoid).